When it comes to parties, simple doesn’t mean boring. 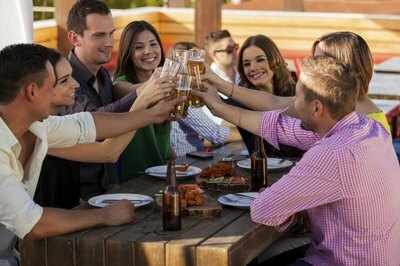 Whether your space is large or limited, you can wow your party guests by following a few basic rules. 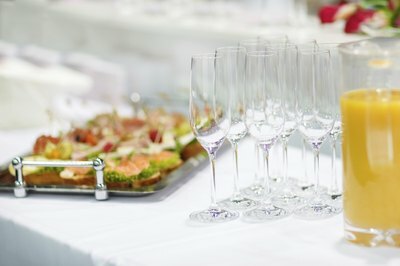 Always have plenty of fabulous food and drinks on hand, and create an atmosphere that makes your guests feel welcomed. If cooking isn't your thing, hire a caterer. A bartender and DJ make entertaining easy. Work within your budget, and if you can't afford to hire in, ask a few friends to help with drinks and music. Parties should always be enjoyable for everyone attending, even the host. Inspired themes don’t have to be complicated. When choosing simplicity, avoid convoluted themes such as Cirque du Soleil-type parties that require strategic planning and complicated settings. Choose themes that can be put together easily, with decorations and props found around the home or nearby shops. Simple themes may include a chic wine-tasting party or a lively, beach-inspired backyard barbecue. Create an atmosphere that’s cohesive to your theme with appropriate food, lighting, decorations and music. Determine whether you want to serve dinner or simply offer hors d’oeuvres. Purchase pre-made, heat-and-serve hors d'oeuvres, which will give you more time to hang-out with guests. Serve five types of hors d'oeuvres, with one to two pieces of each type, per person outside of dinner, or approximately 10 types of hors d'oeuvres, with two to three pieces of each type per person, in lieu of dinner. Buffets are easy to manage for large groups, indoors and outdoors in medium to large spaces. Arrange a designated table in advance with plates, cutlery and napkins. Food can be moved quickly to the table allowing guests to come back for seconds. If cooking is not your thing, then hire a caterer. If catering is not within your budget, order in from your favorite takeout restaurant. Evaluate your space and assess your seating availability. If your space is small, consider throwing a cocktail party. An average-sized living room usually accommodates 30 people for cocktails and hors d’oeuvres. When throwing a dinner party you must provide seating for 30. 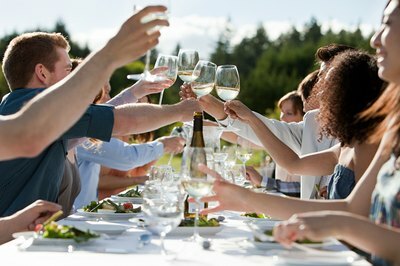 If you don't have enough seating to accommodate 30 during a dinner, consider renting additional chairs and a table if necessary. Buffets are more flexible, as you don't need to provide seating for 30 unless you want everyone to eat at the same time. Set up your buffet table in a separate or adjoining room, where guests can enter and exit easily without bumping plates. Offer a well-stocked bar with a variety of alcoholic and non-alcoholic beverages. Solicit a friend’s help to make cocktails while you greet your guests at the door, or hire a bartender. Bartenders not only add panache to parties, but also allow more time to schmooze with friends. If you can't afford a bartender, create a self-serve bar where your guests can refresh their own drinks. Include a variety of glasses, cocktail napkins and lots of ice. If your budget is limited, prepare a signature cocktail, such as your favorite margarita or sangria. Fill a drink dispenser and keep a few backup pitchers in the fridge. Guests can serve themselves.